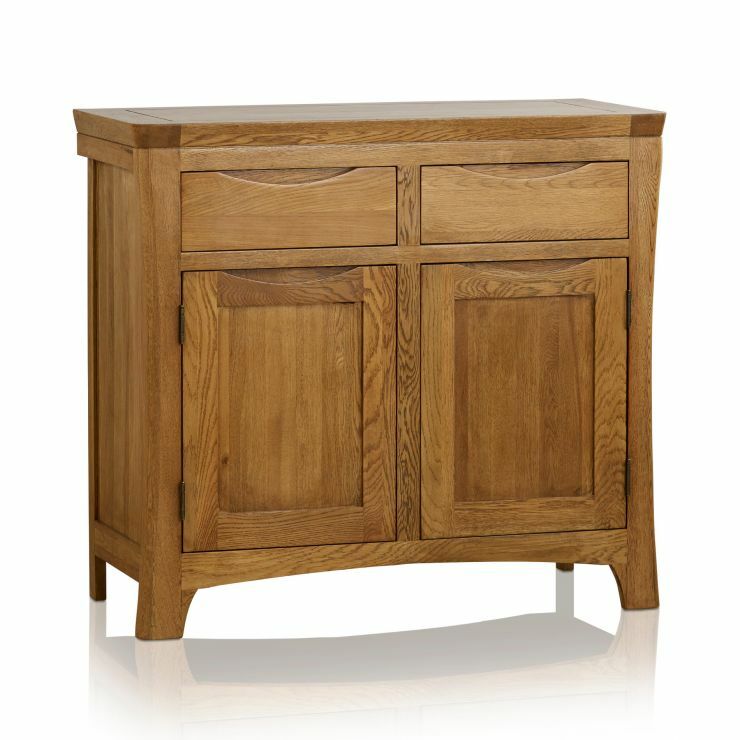 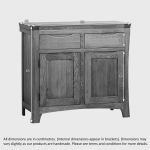 The Orrick Rustic Solid Oak Small Sideboard is crafted using traditional carpentry techniques from the finest cuts of premium grade solid oak. Featuring an exclusive design which complements the natural beauty of the wood, the sideboard is characterised by hand chamfered edges, rounded corners and elegantly carved handles. 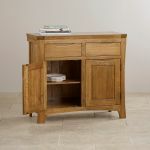 With two generously-sized drawers and a large conjoined cupboard area, there's plentiful storage space to keep your items neat, tidy and organised. 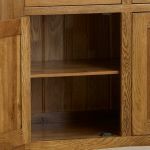 Inside the cupboard you'll find a height-adjustable solid oak shelf and on each drawer a set of traditional dovetail joints for exceptional strength and durability. 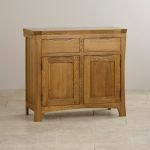 To discover matching items for every room in the home, why not check out the rest of the Orrick Rustic Solid Oak range?